Facing a diagnosis for spine surgery can be scary, especially if you are unfamiliar with the type of surgery recommended to you. Fortunately for patients in Reno, Nevada, there is Tahoe Fracture & Orthopedic Medical Clinic. Our team of spine surgeons are highly experienced in traditional and minimally invasive spine procedures to treat a number of common degenerative spine conditions. The type of spine surgery you are recommended for will largely depend on the type of spine condition you have and the severity of the damage within your spine. As your doctor reviews your MRI or CT scan, he or she will also consider your medical history to determine if spinal surgery is a viable option for your treatment. Certain medical conditions can increase your risks during surgery, so your doctor will want to review many questions with you before making a recommendation for spine surgery. To learn more about the spine surgery we offer at Tahoe Fracture & Orthopedic Medical Clinic in Reno, NV, contact us today. 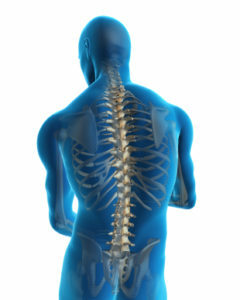 We can review your spine condition and determine the best method of treatment to help you find pain relief.